At Holocaust Museum, Clinton And Wiesel Urge Young To Remember : The Two-Way On the museum's 20th anniversary, a Nobel laureate and a former president say coming generations must preserve the Holocaust's awful history. We all needed to be reminded, Clinton said, that "no matter how smart a people are, if you have a head without a heart, you are not human." In the Hall of Remembrance at the U.S. Holocaust Memorial Museum, visitors can light candles in memory of the 6 million Jews killed by the Nazis and their collaborators during World War II. And former President Bill Clinton, who was in office when the museum opened in Washington, D.C., picked up on that theme. "You know the truth. You have enshrined it here," he said to those gathered, many of them students and others a generation or more younger than Clinton. "You must continue to work to give it to all human kind." The ceremony was somber not only because of the history the museum preserves — about the persecution and murder of about 6 million Jews by Germany's Nazi regime and its collaborators during World War II — but also because fewer and fewer survivors of the Holocaust are still alive. 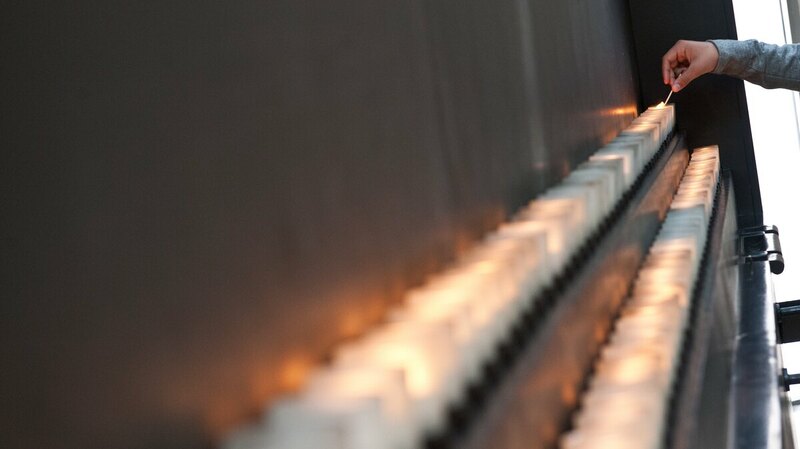 There were 843 Holocaust survivors at Monday's event, officials said, and 130 veterans of the war. Organizers chose to mark the museum's 20th anniversary instead of waiting until the 25th, The Associated Press reports, "because many survivors and vets may not be alive in another five years." Wiesel, a Holocaust survivor himself, said young people should know "you are the flag bearers. ... It is your memory that inherits ours." Clinton said the museum exists "to make sure that we will always be able to come here to remind us that no matter how smart a people are, if you have a head without a heart, you are not human." The former president also said the sickness that led to Germany's Nazi state still exists. It's a sickness, he said, that leads the Taliban to shoot a Pakistani girl just because she wants to go to school. And it's a sickness, he noted, that leads someone to plant bombs near the finish line at the Boston Marathon. Such sickness, Clinton added, is "still the biggest threat to children and grandchildren." C-SPAN, which broadcast the event, has posted a video of it here.